Is your child a menace in public? Home » Dad » Is your child a menace in public? If your child turns into a screaming, wailing menace whenever you take him along to run some errands or a family dinner at a restaurant, you're probably wondering how other parents manage to get their children to behave in public. Not only is it embarrassing as a father to have your little one running around and misbehaving at every opportunity, but it can make even the simplest outings unbearably difficult to get through. 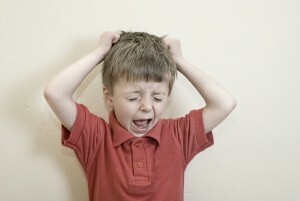 Here are some tips to deal with your child's public outbursts. First of all, you may want to consider giving your son or daughter plenty of notice before heading out for "boring" errands. In other words, let him or her know that you need to accomplish x, y and z and the news won't come as a last-minute surprise. Don't linger too long out with your little tyke either – there are limits to how long children can endure adult activities. Giving your child something to do while you're out is another great strategy for preempting a temper tantrum. Consider putting your son or daughter in charge of pushing the shopping cart, finding specific items on your list or picking an appetizer on the restaurant menu so he or she contributes to your outing, instead of just waiting to go home. Finally, promising rewards for good behavior instead of punishments for bad will give your child extra incentive not to act out in public. A simple treat like an ice cream cone, new toy or choosing what your family will have for dinner in exchange for no tantrums or complaining. With some positive reinforcement and luck, your child will be on his way toward improved public behavior.